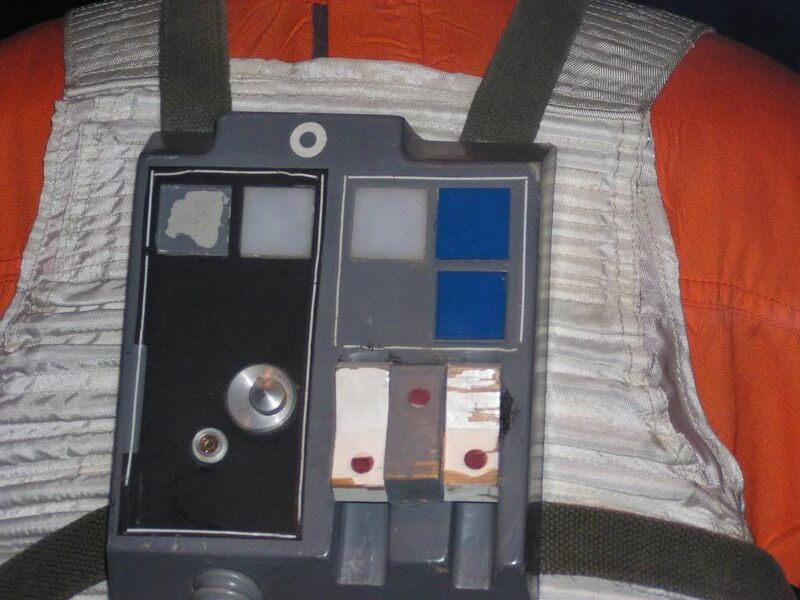 So I started work on an xwing pilot and one of my friend had given me this flak vest. I know it needs modification but I am wondering if I am better off not attempting it? It needs buckles and straps but I was really questioning the large area in the gap.... Is this going to be OK? You will need to add a couple more ribs in the gap. That looks like a costume base vest. I successfully modified one of those without too much difficulty. The hardest part was finding a piece of cloth that matched the white color fairly close and didn't look too bad. The piece of cloth I bought was the best I could find and looked ok indoors in the fabric store, but I forgot to check the color out in the sun before making the mod. After I modded it I took it outside and I could really see a difference in color with the sun shining on it. 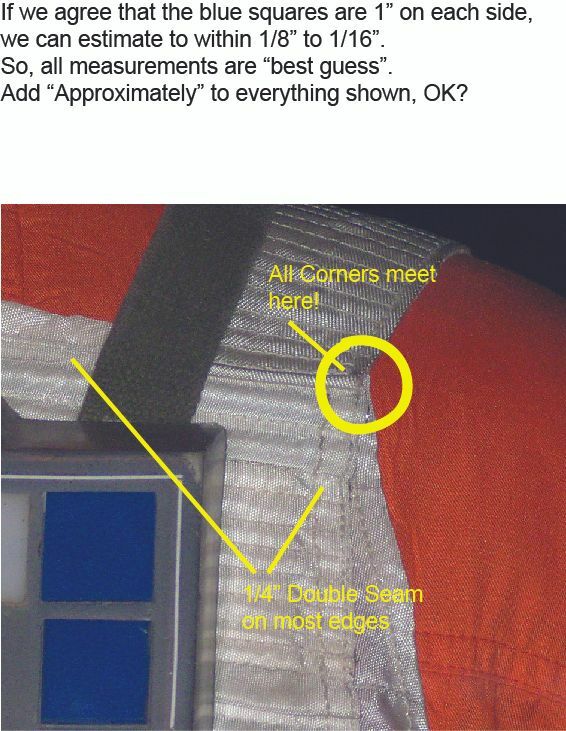 The added material had a bluish hue to it whereas the vest had an orange hue. 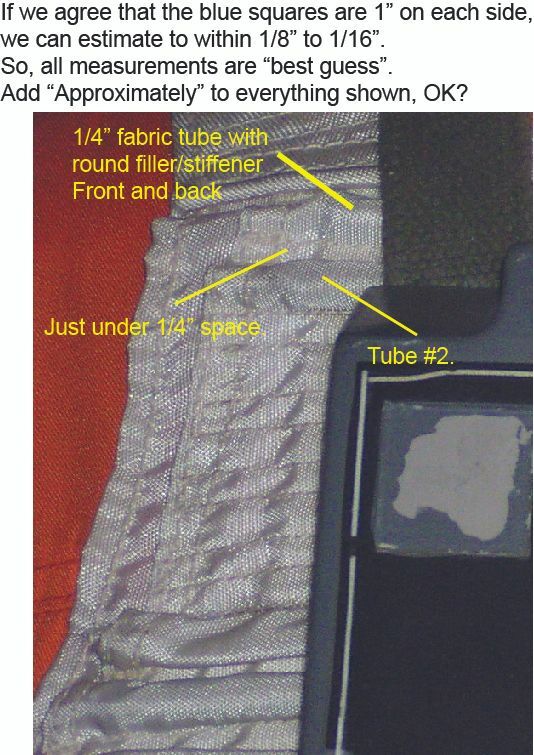 Basically you want to sew up a separate little "Panel" with a couple of ribs on it, that is the same dimensions of the blank area on your vest. Then sew that panel into the blank area. The ribs on the panel need to be close to the same size as the ribs on the vest, but they won't be exact. They will need to be adjusted for size on the panel so that once the panel is sewn in, all the ribs will look fairly uniform. I will draw up a quick sketch which shows what I mean and post it for you. That's what I was afraid of - having to add ribs. Ok, this should clarify things a bit. If you know how to sew, it's not that difficult to do. 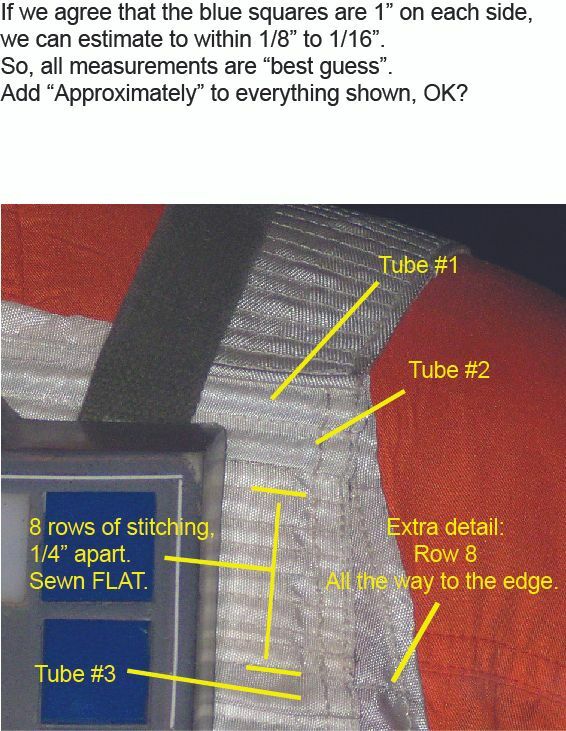 I would remove the strap and then reinsert it after the panel is sewn on. Note that it is not a series of overlapping pleats. however most reproductions use vinyl hose. Note how close the edges are. 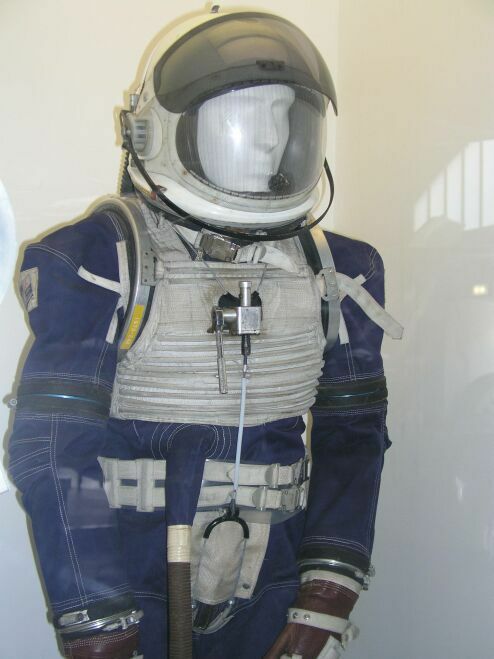 In fact, several of theses suits were used "as is"
Thanks for all of the help and information! I am thinking I will scrap what I have and purchase one - now just have to decide between three very nice options that members have sent me information on! You can see the Rubies making an attempt - actual ribs and the correct number of ribs (2 on top, 9 on the bottom) but the spacing is too wide - almost double - and that throws off the overall size. The screen used barely makes it to the armpits, the Rubies is now 3"-4" below. The CostumeBase has no ribs at all, a mass of pleats where it should be flat - "The Gap" as we've taken to calling it - and now extends almost to the waist. 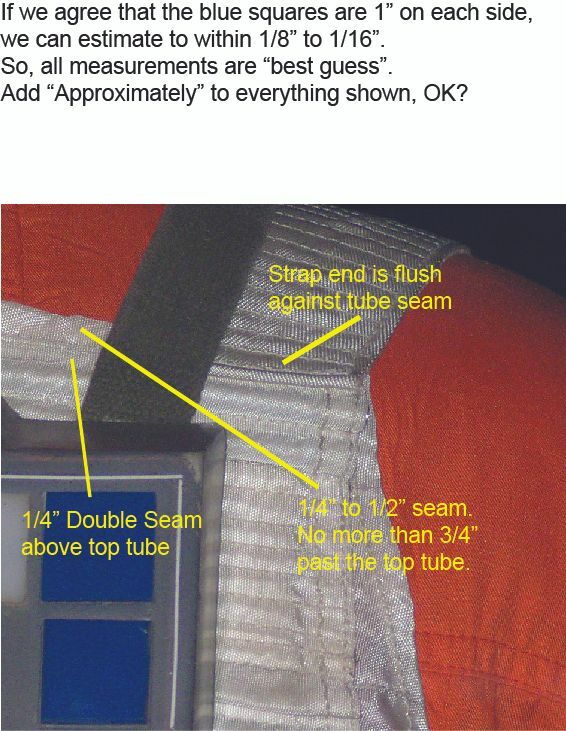 Look at the Original - The horizontal chest seam on the coveralls is about even with the third rib (the one at the bottom of the gap) with the top almost at the collar. 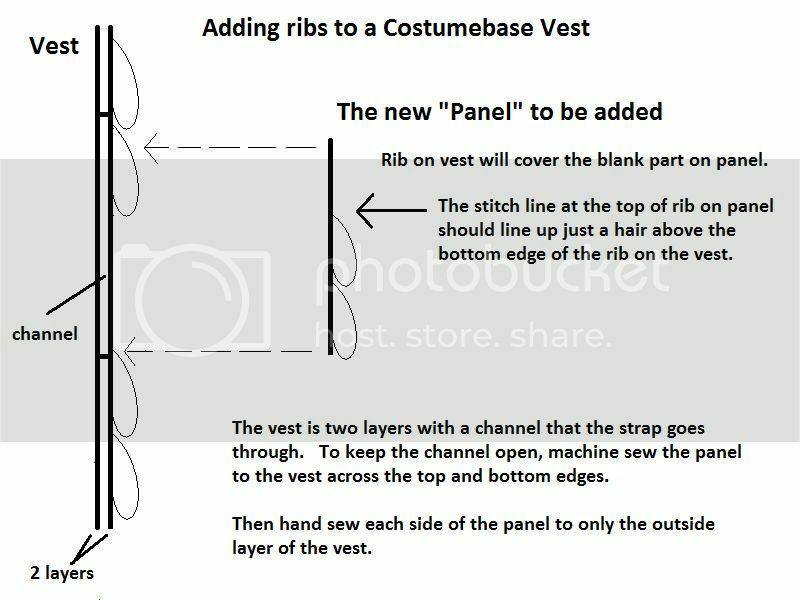 The CostumeBase has the top of the vest even with the seam. Are we expecting a "stitch for stitch" reproduction? No, not by any means. 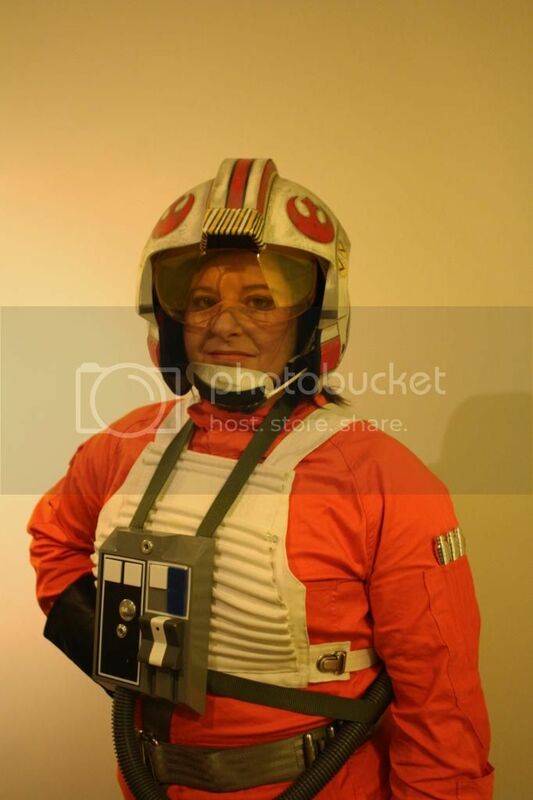 We also don't have the luxury of a film production where you can call up a casting agency and specify the exact height and weight of actors to fit the costumes you have already made. 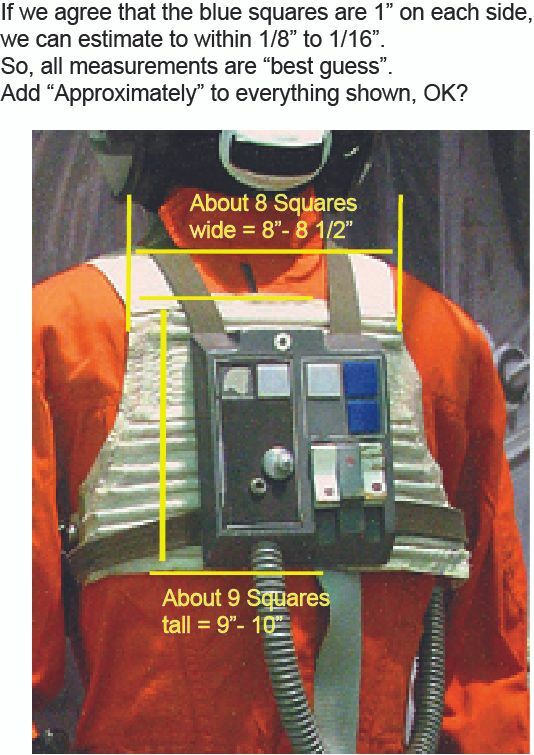 So there are going to be some adjustments to fit different size people. Need a longer length? Add a couple more ribs on the bottom or switch from 1/4" to next size larger tubing. It keeps the overall look while still presenting a good appearance. Thanks! The three screenshots together are very helpful!! Wow, Mac! 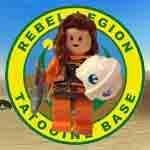 Great information and the screen shots are ones I've not seen before. 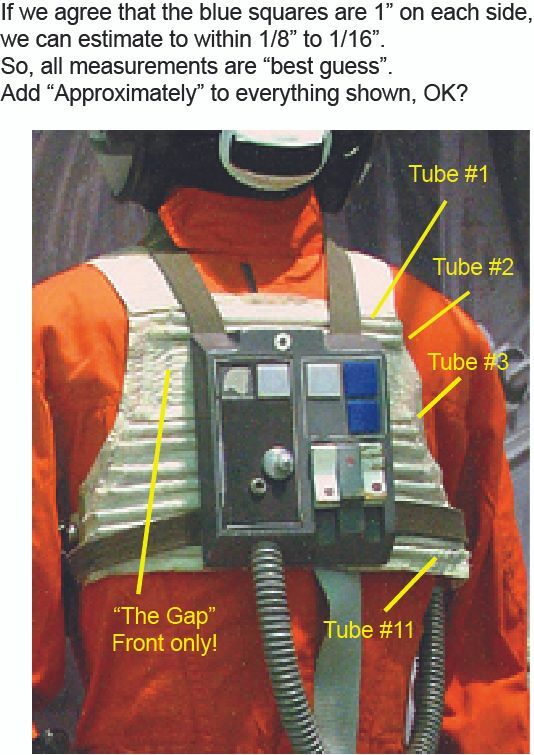 We gave up and used (I think) the Bespin Base guide to the vests, screen shots and the older Reference Guide to the pilot costume. We counted out the ribbing required for front and back, and made a one size fits all vest, then adjusted the shoulder straps for the size of each individual. 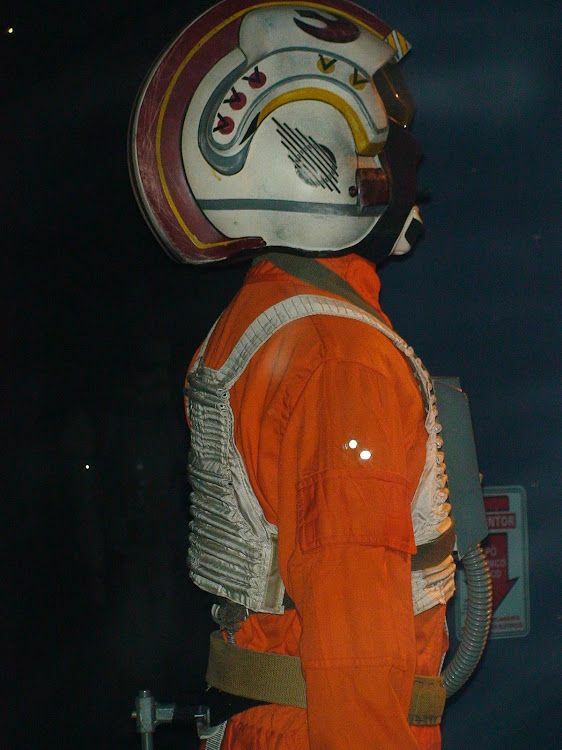 Its take a lot of work, ordering the clips/buckles and finding the tubing insert but we're finally very happy with the result, and so far all our submitted pilots costumes have been approved.